Solid construction and easy operation are the hallmarks of Adam's animal scales, which are designed to tolerate the demands of daily weighings for cats, dogs and other creatures. 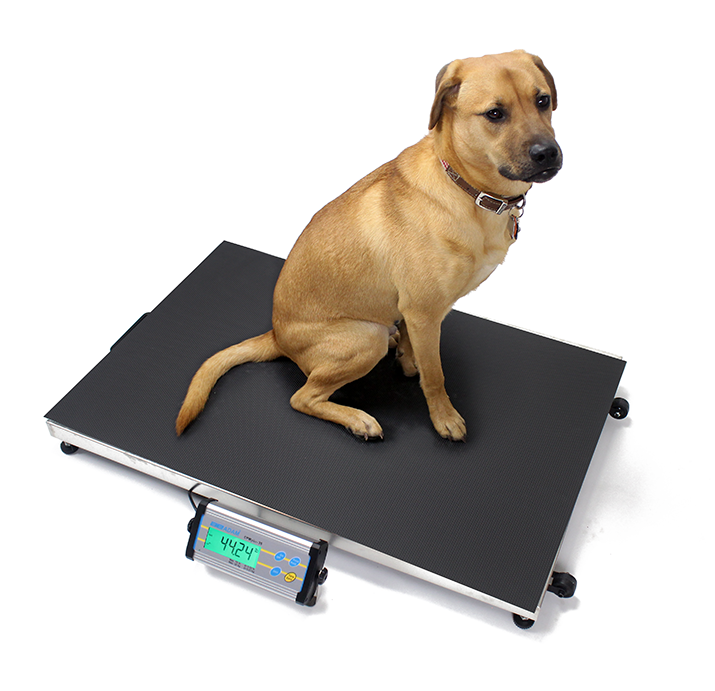 With a variety of features and functions, the scales are suitable for all types of animals. Dynamic weighing capability correctly measures animals that are moving, while a display-hold function retains results on the screen, allowing the user to focus attention on the animal. Suitable for the veterinarian's office or for use in the field at a barnyard or zoo, Adam's animal-weighing scales feature removable stainless steel pans that are easy to clean. Low-profile platforms allow larger animals to step onto the scale with sure footing, and non-slip surfaces keep them safely in place. Many of our veterinary scales offer battery operation for portability, while wheels provide maximum mobility. Several scales are IP-rated for easy clean-up between animal weighing sessions. Whether you are weighing animals to monitor daily food intake or to calculate medication dosages, Adam Equipment's animal scales offer the accurate results, durability and versatility needed for weighing creatures great and small. Lightweight and portable, LBK is a superb value for factories, warehouses, labs and offices. Cleaning is simple with the removable stainless steel pan and sealed keypad, while results are highly visible on the large, backlit display. Versatile and portable, the MTB animal scale offers excellent value for veterinarians, pet groomers, breeders, farmers, or anyone needing to weigh small animals.